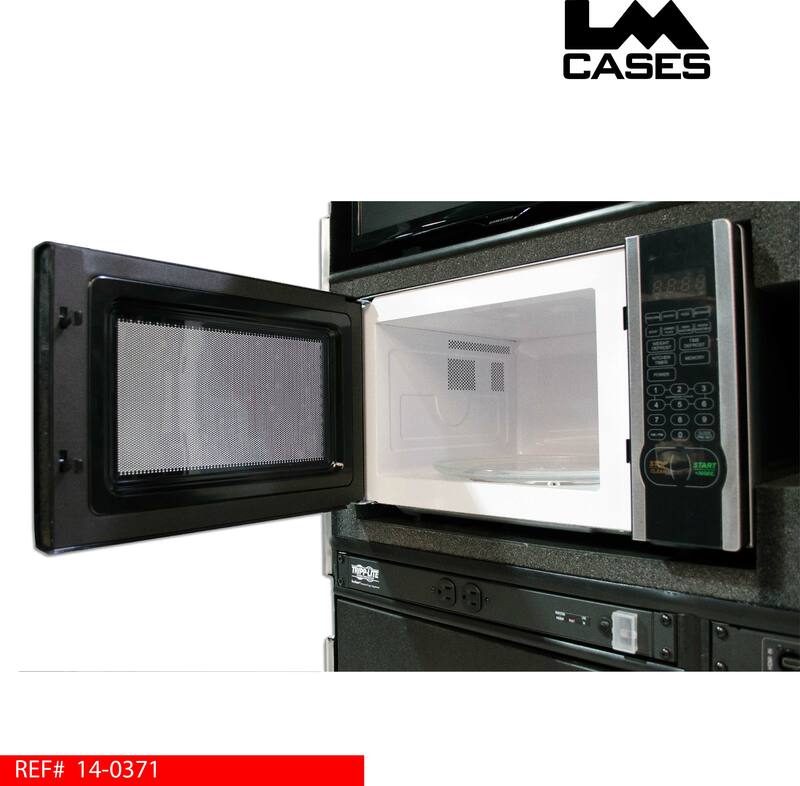 This case was designed for the University Of Central Florida as a portable kitchen amenities trunk for their locker room. The case features a TV, Keurig beverage maker, microwave, wireless Sonos sound system and two storage drawers. 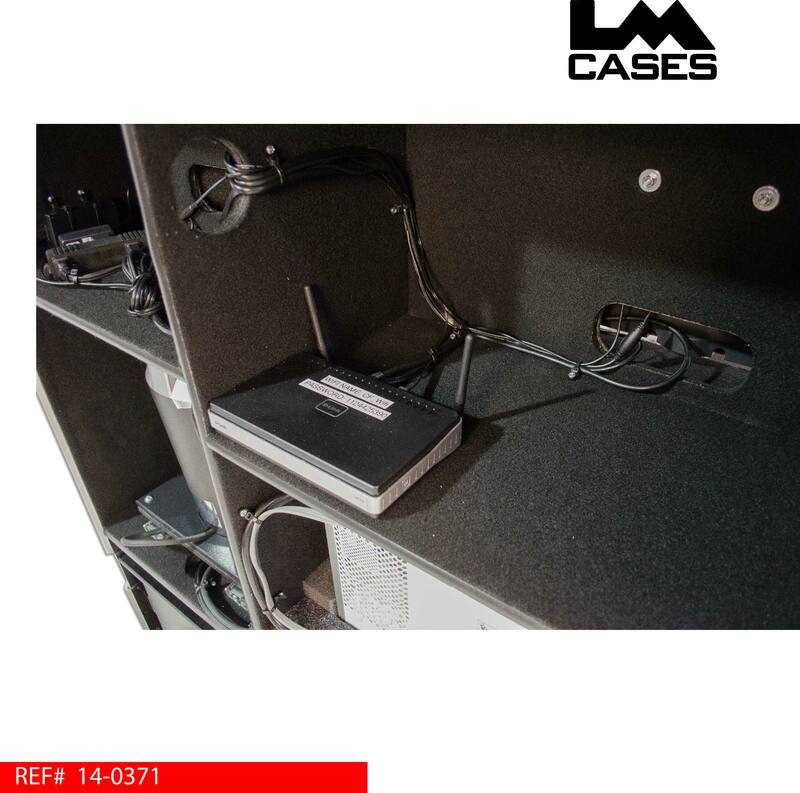 The case is designed to keep the coaches, trainers and staff going when they are working in locker rooms prior to a game. 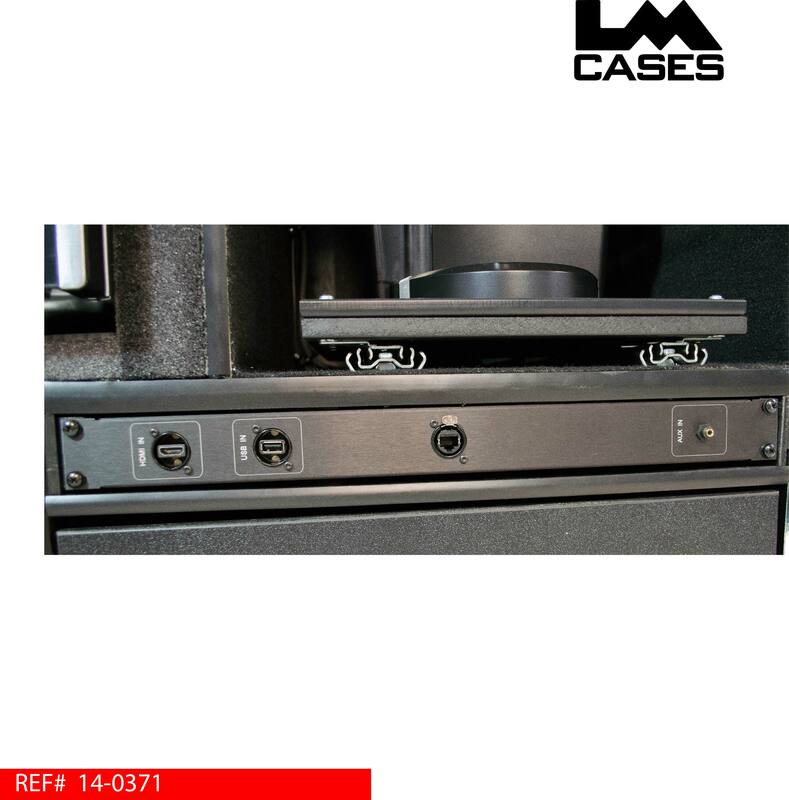 The LM Case Custom Integration department specified, provided and installed all components in the case. 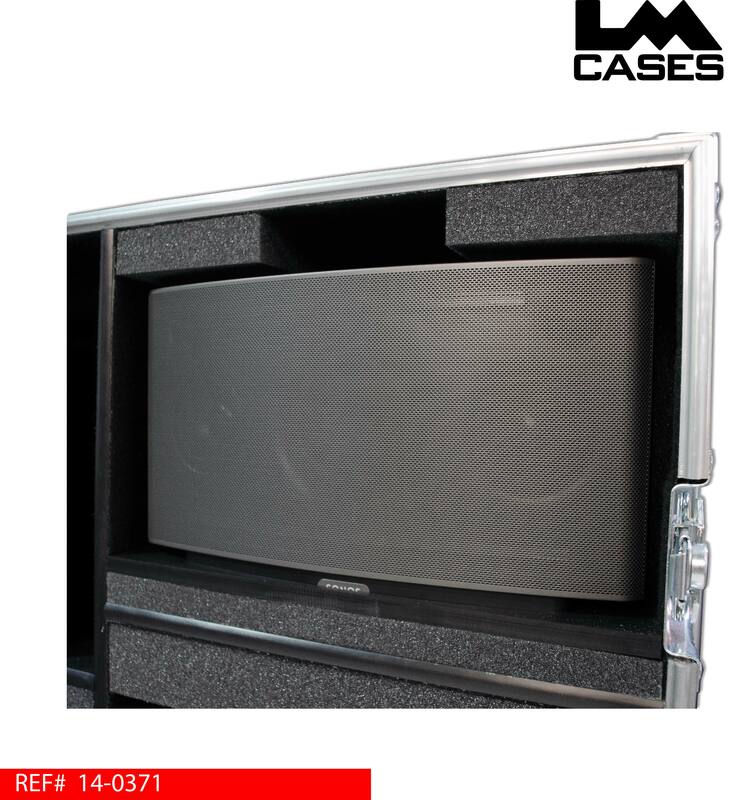 The entertainment system is centered around a Sonos Play 5 wireless speaker system. Users can access the unit wirelessly over a protected dedicated network or through a standard 1/8" headphone size input jack located on a central custom built panel. 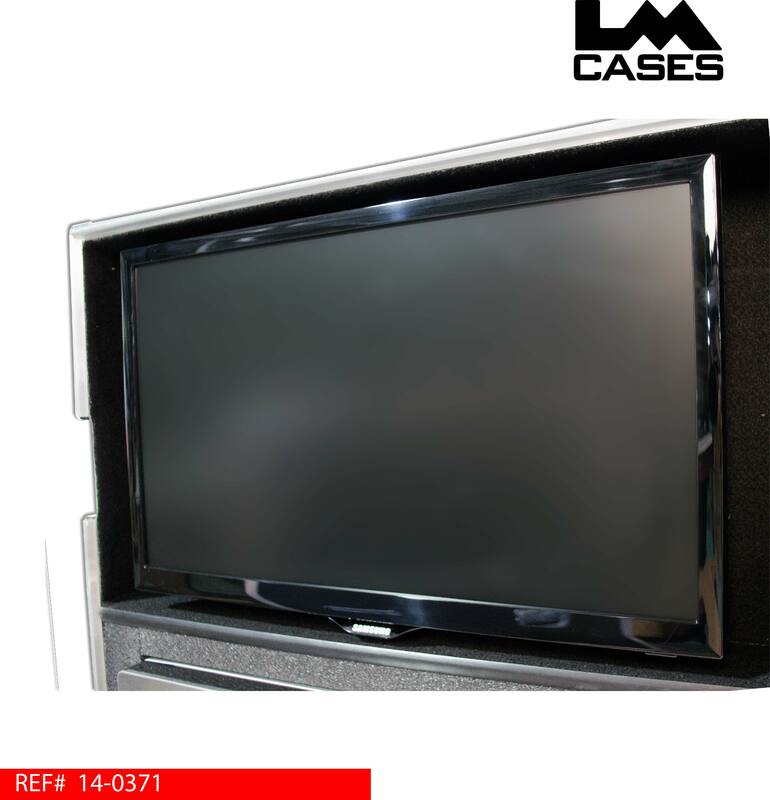 Video is displayed on a 22" Samsung monitor, all electronics input/output connections are centrally located on a custom panel. The panel features a 1/8" audio input for the sound system, a HDMI & USB jacks for the monitor, and a Cat5 Ethernet jack to supply the wireless router. 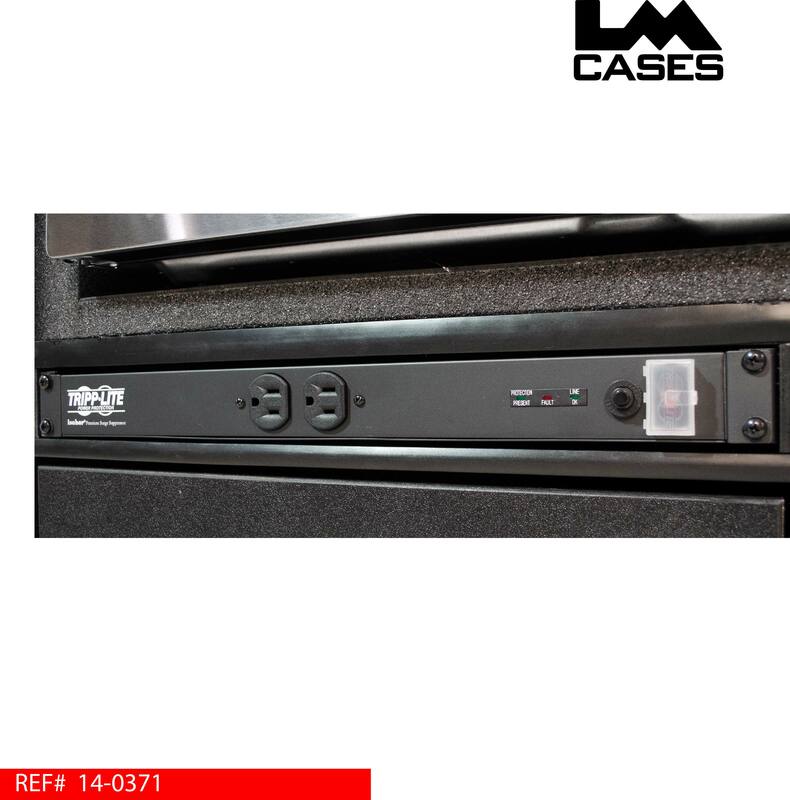 The power is routed through a distribution unit that transformer isolates the entertainment electronics from the cooking appliances to prevent interference during operation. The power distribution unit provides 2 front mounted accessory outlets. 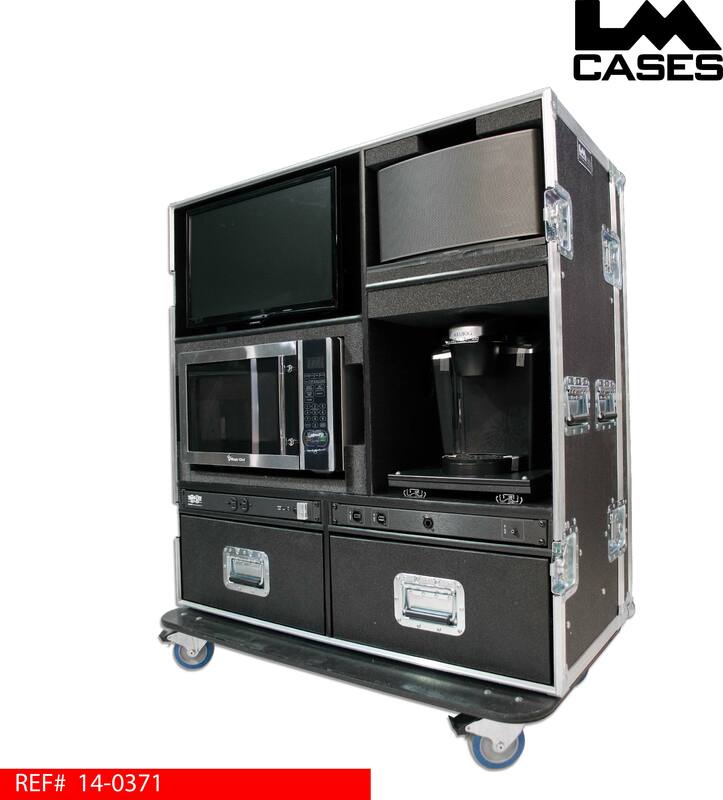 Drink preparation is handled by a commercial grade Keurig, which heats water faster than home units and also allows the internal water to be discharged after each game to aid in spill free transportation. A stainless steel microwave rounds out the amenities portion of the case. 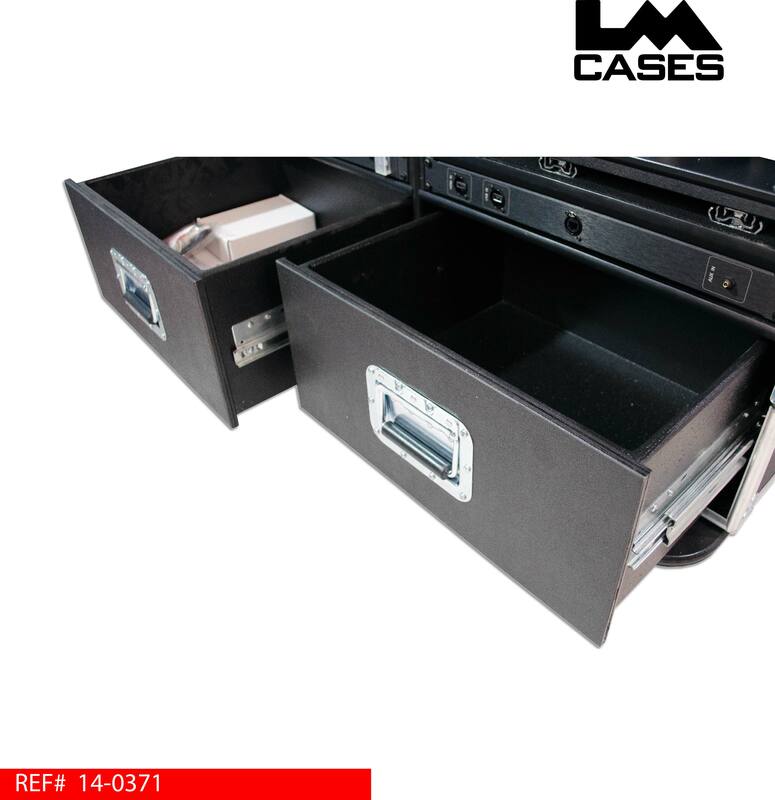 Also featured in the case interior are two large storage drawers for holding misc items like coffee, paper plates and other sundries. The exterior case is built out of 3/8" plywood laminated with black ABS plastic. 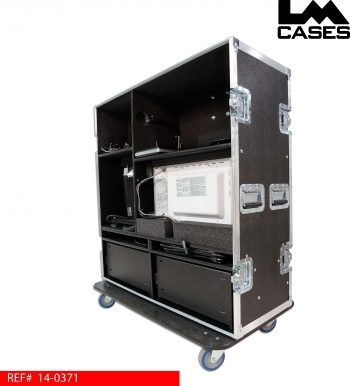 The case features a removable front & rear lid and rides on Colson 4" casters. The maximum dimensions including corners and casters are 42.5" wide x 25" deep x 48.25" tall. 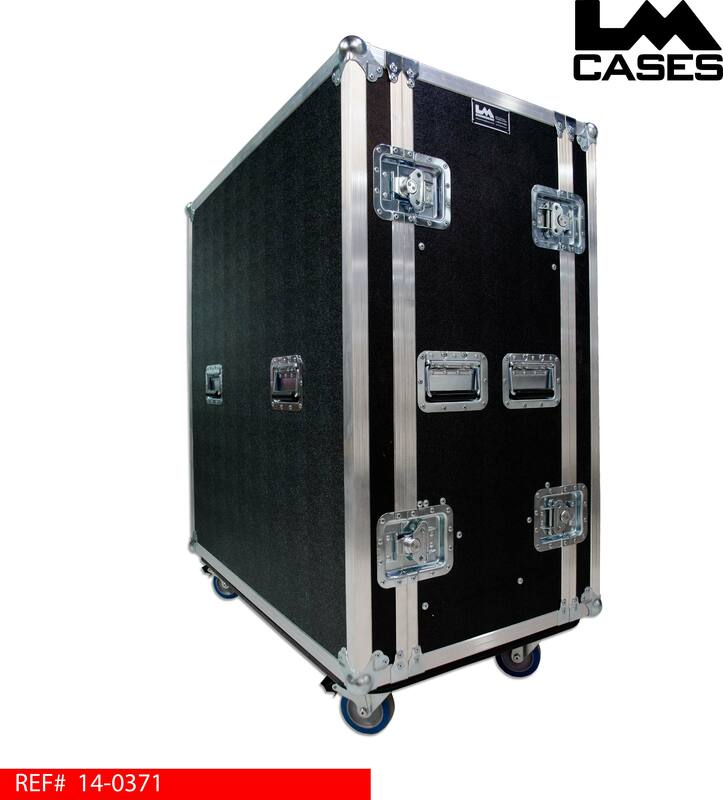 The case weighs 288lbs. Special thanks to the University of Central Florida! !